Are some birds naturally immune to malaria? 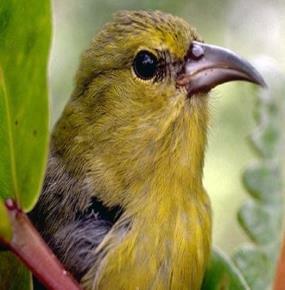 Malaria is a problem for the fragile native Hawaiian forest birds, and one that is expected to worsen with climate change. This project tests whether the immune systems of ‘Amakihi (a native honeycreeper) populations that come from the lowland elevations where malaria is common differs from birds in higher elevations where malaria is rare. Such differences could be indicators of evolved resistance to malaria and could help researchers identify ways to help birds survive malaria outbreaks.